So thats it, a long day, lots done, nice things to eat, good telly. Perfectly ready for the sleepings. A quick flick through the very comforting National Geographic and lights off to muse over vague thoughts of the problems with the oil sands of Canada. Just right. Fucked. 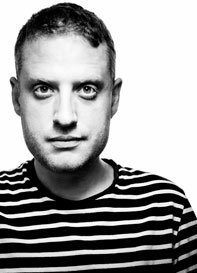 The rest of the night is a cholera fever of Edinburgh madness, all Steve Bennet and portaloos – plastic pints and anxiety - rated in stars. And the dreadful thing is the older I get this insomnia just gets worse. 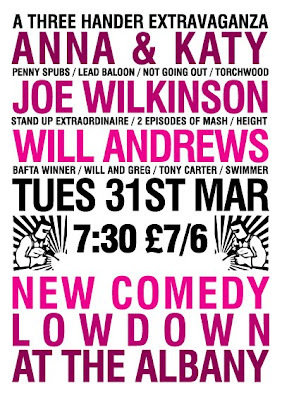 Tonight is pretty much the last time we are going to do "will and greg; a sketch show" although we said that at the last sketchatron. Basically sketch performers are not to be trusted. thats what i'm saying. If you are in glasgow and you are one of the two who reads this then come. Not the peodo one though, you should stay at home, handcuffed to a radiator. Oh and if anyone is thinking of breaking into my house then don't. I have a series of traps set up al la "home alone" - including a cut out of a basketball player going around the living room on a train set. And what about the coroner at the kids hospital? When he gets home does he find it hard to connect in increasingly basic ways with a world which makes less and less sense to him. The persuasive power of facial hair. I don’t have a cervix. I wouldn’t describe myself as being “cervix savvy”. 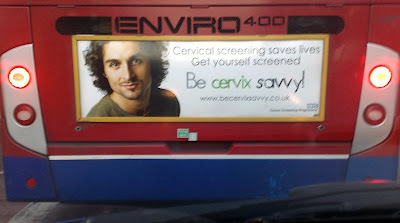 If I did have a cervix then I remain unconvinced that that man’s face that would inspire me to discover more about it. “It” being my cervix (imagined). I find that face, beside those words, wrong. The phrase “What were they thinking?” trips of the tongue. A little investigation and a trip to their web site http://www.becervixsavvy.co.uk/ uncovers this. I could go on about why i think this is fucked, but i don't need to right? I don't do i? I mean i don't right? Have a look at the web site - especially the "advert in the making".